Closing date for receipt of entries is 30 August 2019. 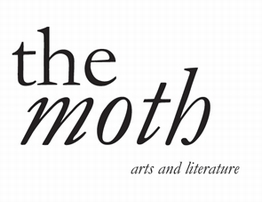 It�s not a requirement, but we strongly advise you to purchase a copy of The Moth. Entries must consist of high resolution images of 5�10 pieces of work. Postal entries will not be returned. The work must be figurative or representational in style. Paintings, drawings (including mixed media) and original prints will be accepted. A portfolio should consist of images of 5�10 pieces of your original artwork. You can submit your portfolio to mothartprize@themothmagazine.com. Alternatively, you can submit your portfolio by post (along with an entry form) to: The Moth, Ardan Grange, Milltown, Belturbet, Co. Cavan, Ireland. You can enter more than one portfolio. Original artworks should not be sent to The Moth. The Prize is open to anyone worldwide over the age of 16. Online payment should be made to mothartprize@themothmagazine.com via PayPal. Cheques (euro/sterling/dollars) and postal orders (Ireland only) should be made payable to �The Moth Magazine Ltd.�, with the sender�s name and address on the back. Online entries are confirmed by the email receipt of your payment to PayPal.Enclose a stamped addressed postcard marked �ACKNOWLEDGEMENT� if you require acknowledgement of receipt of your postal entry (include international reply coupon if entering from overseas). Worldwide copyright of each entry remains with the artist, but The Moth will have the unrestricted right to print some or all of the winning artwork in a future issue of The Moth and any relevant promotional material. The judges� decision is final and no individual correspondence cannot be entered into. A two-week stay at The Moth Retreat plus �1,000. The winner can choose when they would like to reside at the studio (subject to availability) within 12 months of receiving the award. The winner will be notified by 30 September 2019. Entry implies acceptance of all the rules. Failure to comply with the entry requirements will result in disqualification.